We are consistently engaged in presenting best quality Organic Soya Bean at very competitive price. Offered product is timely delivered at client place. - Soybean is the versatile crop with many uses. Rich in protein, vitamins, minerals & fiber soya beans are an ideal choice for human foods & animal feed. - Its oil is used for cooking as well as in paint & printing industries. - Soyabean is mainly produced in MP, Maharashtra, Rajasthan, AP, and Karnataka. - Ideal for Ladies Problem. We are among the well-regarded names in the industry, betrothed in providing Healthy Soyabean to our esteemed customers, which is highly demanded in market. We introduce our business as a noteworthy organization of qualitative array of Organic Soyabean. Packaging Size: 10kgs PP,15kgs PP,25kgs PP,Container Liners. Shelf Life: 2 year from production date. Labeling: As per buyers instruction. Organic certified Soyabean from Gujarat. With help of proficient employees, we are indulged in providing a premium quality range of Organic Soybean Seed for our patrons. Owing to the sound experience of the industry, we have been able to offer a premium quality Organic Soyabean to our valuable clients. Under the supervision of our industry experts, we are involved in the presenting premium quality of Organic Non-GMO Soybean, which is utilized for varied purposes. 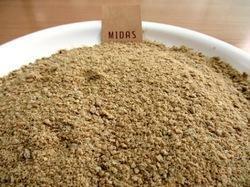 Our soybean is available in different sizes and is widely used for cooking purposes. Our high protein soybean is very rich in protein and is very healthy for body. 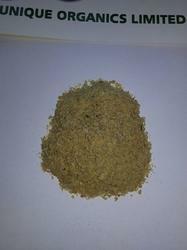 It is easily available in the market and is also extensively used for animal feeding. Hence, we are named as one of the prime soya bean exporters and suppliers of India. We are involved in offering a wide range of Soybeans to our most valued clients. Our range of Soybeans is widely appreciated by our clients which are situated all round the nation. We offer our range of Soybeans at most affordable prices. It’s an organic processor’s nightmare: a buyer calls to say that your organic product tested positive for genetically modified organisms (GMOs). The processor can’t sell the product as organic and loses money. Such unfortunate contamination incidents are increasing in the organic industry.